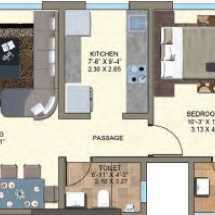 Area : 454 - 959 Sq.Ft. Home-lovers willing to buy a luxurious home in Mumbai should have a look at Kanakia Zen World. The exotic residential complex comes with a wide range of amenities for the residents. You can engage yourself with exciting activities like rock climbing, indoor games and various other sports in the complex. The demand for property in Mumbai is high, and the prices of apartments are rising. You can get an apartment in this residential complex now and enjoy the luxurious lifestyle here. The residents can enjoy green living facilities in the complex. 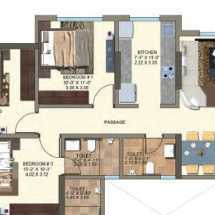 The residential complex is known for its location advantages. It is strategically located in Mumbai, ensuring that the residents can easily reach the important commercial zones in the city. The social infrastructure in Mumbai is well-developed. The residents will enjoy the fast connectivity to the important schools and hospitals in the region. 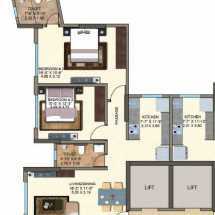 Investors and homeowners willing to buy property in Kanjurmarg Mumbai should go for the apartments in Kanakia Zen World.